Well, I was in Canada last week, and had $25 Canadian left over in my wallet, so I tried this flashlight and compared it to the fluorescence produced by an Inova X5MT-UVT 400 nm flashlight. Much to my surprise, the 365 nm UltraFire caused fluorescence that did not show up at all under the Inova 395 nm flashlight. 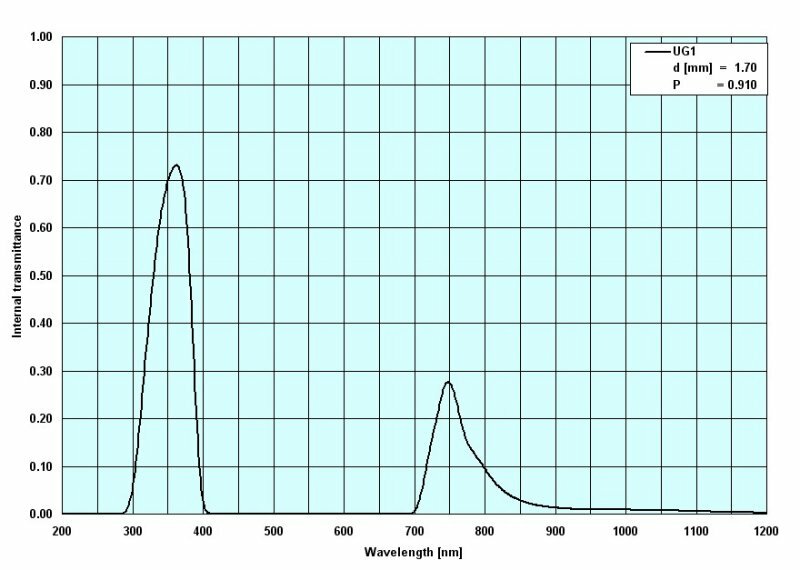 To make sure that the difference in fluorescence wasn’t due to wash-out by additional white light, I used a UG-1 UV filter (325nm – 385nm bandpass), and obtained the same results. 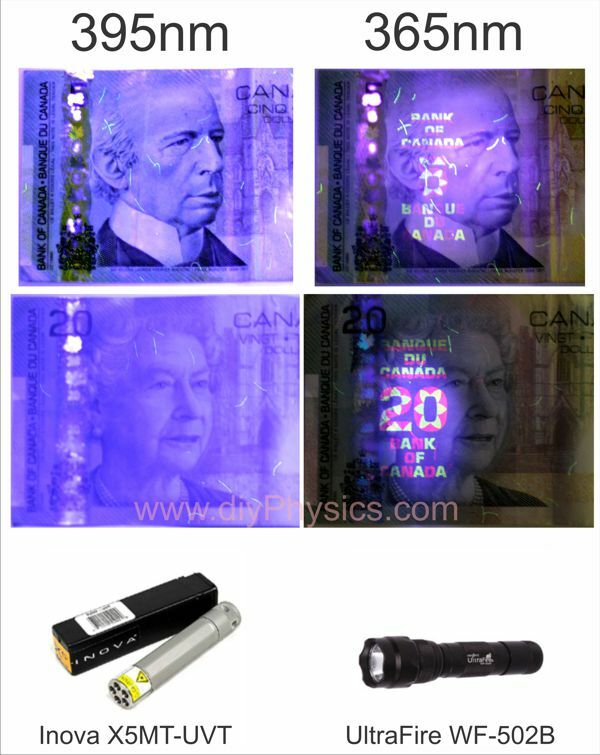 So there, a $5 Canadian note will make a very useful wavelength-sensitive detector to tell your UV LEDs apart. Excellent way of distinguishing lasers! Sorry I missed the book signing! What are the years of these bills? I need to test a new LED from Ebay, and I want to make sure I do it right. Thanks. this is the only easy test I could find anywhere on the internet! Good question. I don’t know… spent them on my last trip to Canada. I tried looking for the date on the high-res pictures, but couldn’t find any on the side of the bill that I photographed. This is the $20 issue of 2004. They stated phasing these $20 bills out in 2012, and I don’t think the newer ones still have that UV printing. However any $5 (issue of 2006) or $10 (issue of 2005) bill should do. They planned to phase these out in November 2013.
my $5 says “Issue of 2006” on the front and “printed in 2010” on the back. 🙂 I had to go to a travel agent to get the bill. It fluoresced like your 365nm pictures. I just received a brand new UltraFire WF-502B from DealExtreme. And it does NOT fluoresce Canadian bills. I have a small F4T5 / BLB fluorescent tube at 365nm and it fluoresce canadian passports and canadian money very brightly. So I got a body of the right flashlight, with the wrong LED inside.